find out about the market! book a table! follow bloggers! make doctors’ appointments! work your network! find a property! follow the pros! chat with the pros! chat with your communities! find a car park! explore Luxembourg! get inspiration! look up emergency numbers! get advice from bloggers! recommend pros! check traffic info! give your opinion! check your horoscope! check the weather! enjoy savings all year-round! find a job! look up duty pharmacies! check out what’s on at the cinema! find the right contact! get good advice! prospect effectively! ING Luxembourg is a financial institution active in banking and leasing. Operating in the Grand Duchy of Luxembourg since 1960, ING is a universal and accessible bank with well-developed and user-friendly digital channels, appreciated by our retail, private and wholesale banking customer base, as well as a more personal contact through our network of branches. With over 100,000 customers, ING is one of Luxembourg’s top 5 banks and one of the country’s top 10 brands (source: 2018 KPMG Luxembourg Customer Experience Excellence Report). Our aim is to empower people to stay a step ahead in life and in business. We believe the role of a financial institution is to support and promote economic, social and environmental progress at the same time as it generates healthy returns for shareholders. Always at the cutting edge as regards digitisation, we were the first high-street bank to launch an online account in Luxembourg. With over 800 employees in the Grand Duchy (700 of whom are at our head office: ING Lux House) and thanks to the combination of our local presence and the strength of a robust multinational like ING, we offer our personal and business customers a wide range of solutions through the channel of their choice. We actively contribute to the growth of the local economy, as demonstrated by the significant rise (+16%) in lending volumes during 2017. Our mortgage portfolio continued growing in 2017 (+15%), breaking the EUR 2 billion barrier for the first time. On both sides of our balance sheet, we posted double-digit growth (+18%) in 2017, reaching EUR 18.5 billion. What do Luxembourg residents think about the housing market? 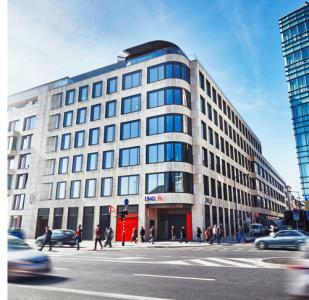 ING Luxembourg SA in Luxembourg, full practical information on ING Luxembourg SA: opening times, telephone, address. All activities for ING Luxembourg SA: Banking title, Banks, Car loan, Collective investment organism, Commercial Bank, Company financing, Consumer Credit, Consumer loans, Credit and financing, Current account, Expatriates Bank, Family office, Financial holding, Holding, Housing saving account, Housing Savings, Installment loan, Investment Banking, Investment funds - Management, Money saving, Mortgage, Mortgage, Multicurrency account, Offline debit, Online Banking, Payment cards, Personal loan, Private banking, Private banking, Professionals of the financial sector, SICAV, Social Business, Soparfi, Succession, Tax optimization, Taxation, Term account, Trading Floor & cash management, Wealth management. Locate your contact ING Luxembourg SA on a map in Luxembourg.